Using the roasted malts found in the traditional Guinness beer, the brewer recently released the Guinness Black Lager employing lager brewing methods and traditional lager hops. The beer pours a dark brown body, deep in color like a regular Guinness, but without the nitro consistency. It features a ruby inner glow and is topped by a light foamy head colored in tan and moderate in size. The head retention is average and leaves light lacing as it recedes. The nose is tight and distinctly lagery with a minor hoppiness. It has a slight Pilsner-like aroma with the addition of toasted grains. Roasted barley is clearly present, but seem modest in their potency and modest overall. The mouthfeel is quite crisp with plenty a carbonation. Toasted malts are comparable to a modest brown or red ale, falling far short of even the traditional Guinness. Lager notes are prominent and meet almost no smoke at all. Modest caramel notes provide some sweetness through the tight carbonation. Hopping is very minimal. 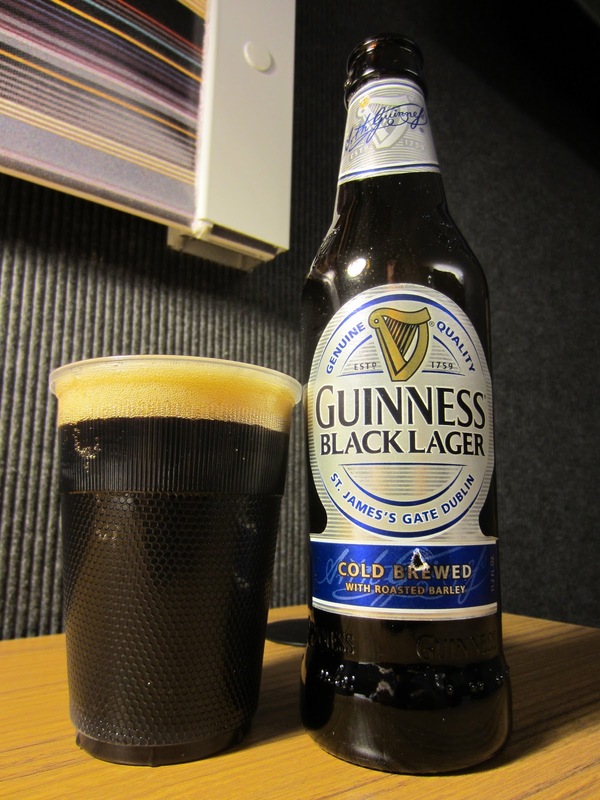 The lager is sweet and crisp with nice color, but it lacks the punch of a solid black lager. It is certainly drinkable and perhaps even a bit adventurous, for the unadventurous.